The Armenian National Committee of America – Glendale Chapter (ANCA – Glendale) is a grassroots public affairs organization serving to educate, motivate and activate the Armenian American Community in Glendale. ANCA – Glendale has been an important presence for Armenian American grassroots efforts, serving as liaison between city institutions, elected officials, and the community. Our efforts serve the vibrant community of Glendale in the following ways: discussing issues affecting our community with political officials, conducting voter outreach campaigns, publicizing the Armenian Cause, educating the Glendale community through forums and outreach events, fighting historic revisionism, and promoting recognition of the Armenian Genocide. ANCA – Glendale is working to make Armenian American interests effectively part of the political dialogue of our government and of our own community. Over the years, ANCA – Glendale has played an instrumental role in engaging the Armenian American community in the democratic process and mobilizing voters. ANCA – Glendale has worked diligently with elected officials, which resulted in the Glendale Unified School District being the first district in the United States to designate April 24th, the remembrance of the Armenian Genocide, as an official holiday. 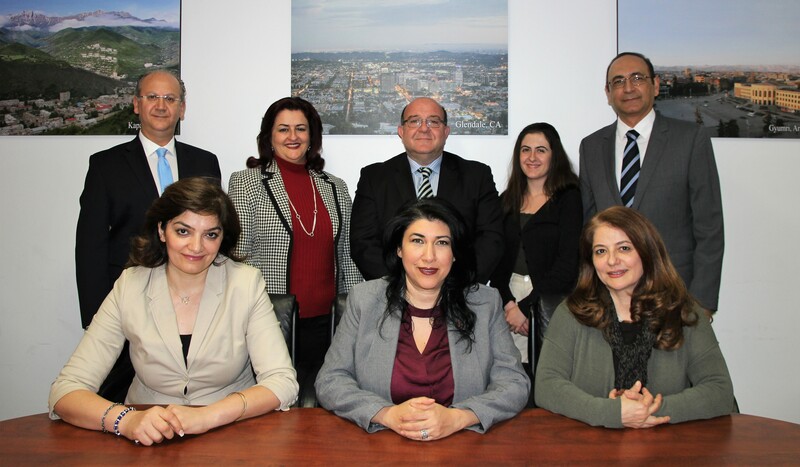 ANCA – Glendale is continuously working to increase diversity and cultural sensitivity in government bodies, councils, commissions, businesses and agencies. Furthermore, ANCA – Glendale is actively collaborating with a variety of community organizations to help ensure the needs of our community are met. Whether the focus is empowering our community by registering voters, the drive for recognition, restitution and justice for the Armenian Genocide, educating the public on local, state, and federal legislation concerning issues in their local communities and the Republic of Armenia or advocating the legitimate right of self-determination for the people of Artsakh (Nagorno-Karabakh), the ANCA – Glendale is a prominent force in the democratic process within our region. As the representative of the largest diasporic Armenian community in the world, the ANCA – Glendale chapter is committed to working and providing for the needs of the Armenian American and the vibrant Glendale community at large. ANCA – Glendale works in cooperation with its national headquarters in Washington, DC, its Western Region office also located in Glendale, and its Eastern Region counterpart in Boston. The ANCA – Glendale is joined in these efforts by far-reaching network of international affiliates in Europe, Russia, South America, the Middle East, Australia, Armenia and Artsakh. Take a look at the ANCA Glendale Annual Report for more information. Sitting from L to R: Board Members Anet Tanik, Lucy Petrosian, Jackie Tomasian. Standing from L to R: Ronnie Gharibian, Aida Babayan, Chair Artin Manoukian, Hasmik Burushyan and Raymond Khashadourian. Want to learn more about the ANCA Glendale and its scope of activities? Check out the video presentation on the right for more.